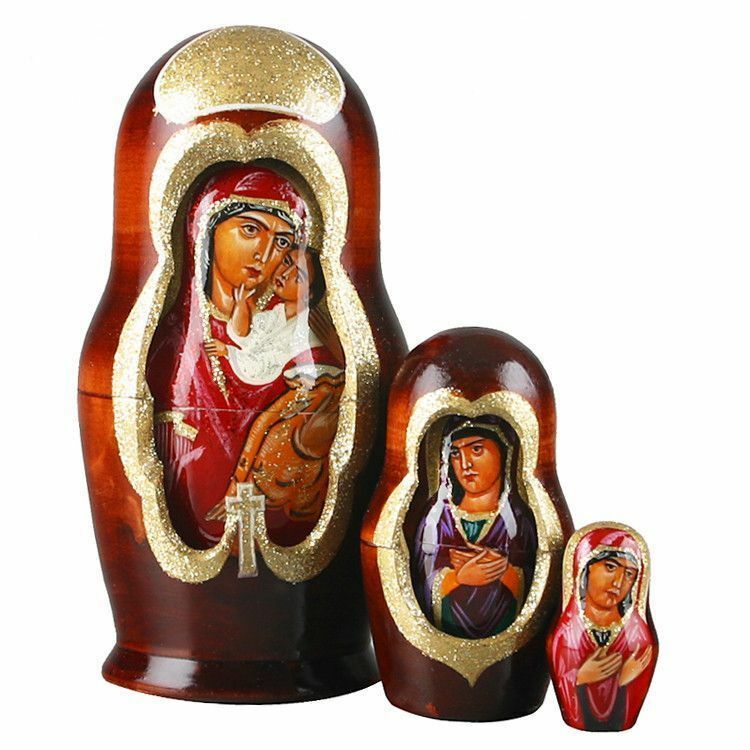 This one of a kind Icons of the Virgin Mary (Theotokos) nesting doll magnificently carved and hand painted. 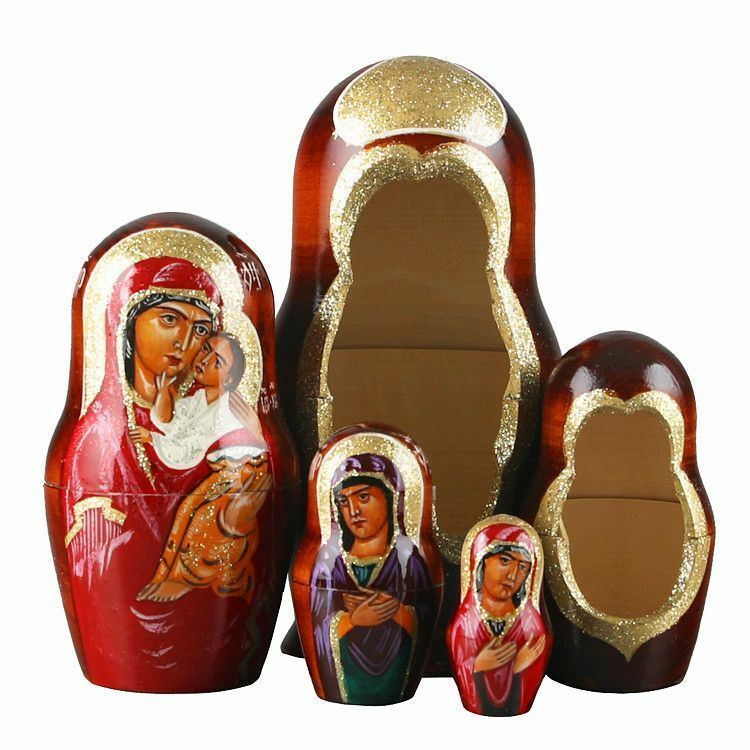 The outer doll is embellished with gold traditional Russian decorative design. 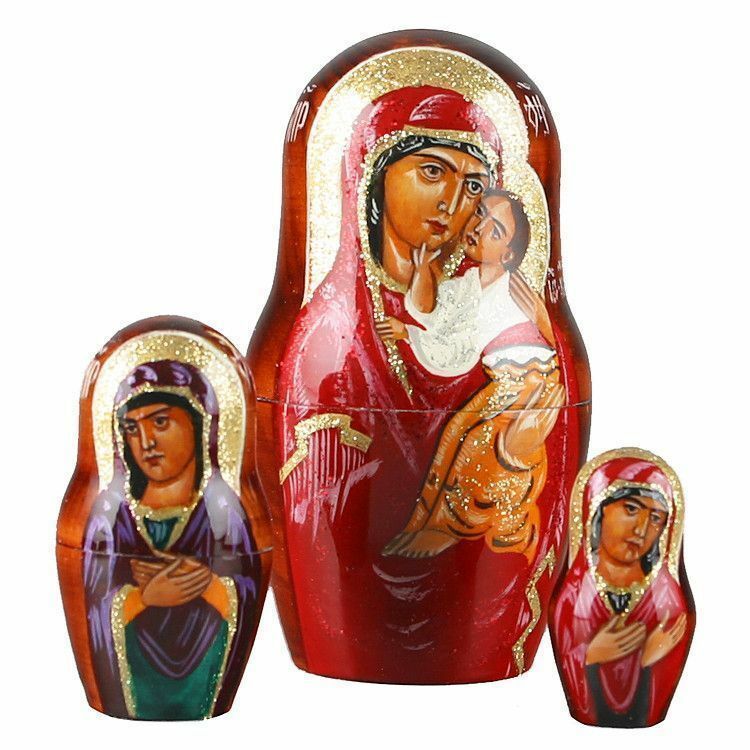 A band of interesting hand-carving outlines outer kiot of the icon of Mary holding the Christ Child. 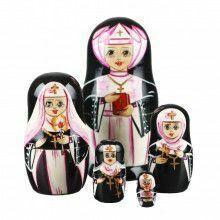 This doll has 5 pieces: two kiots (shells) and three nesting dolls. The back of outer kiot is decorated with carved cross. Signed by the artist Novikov A.